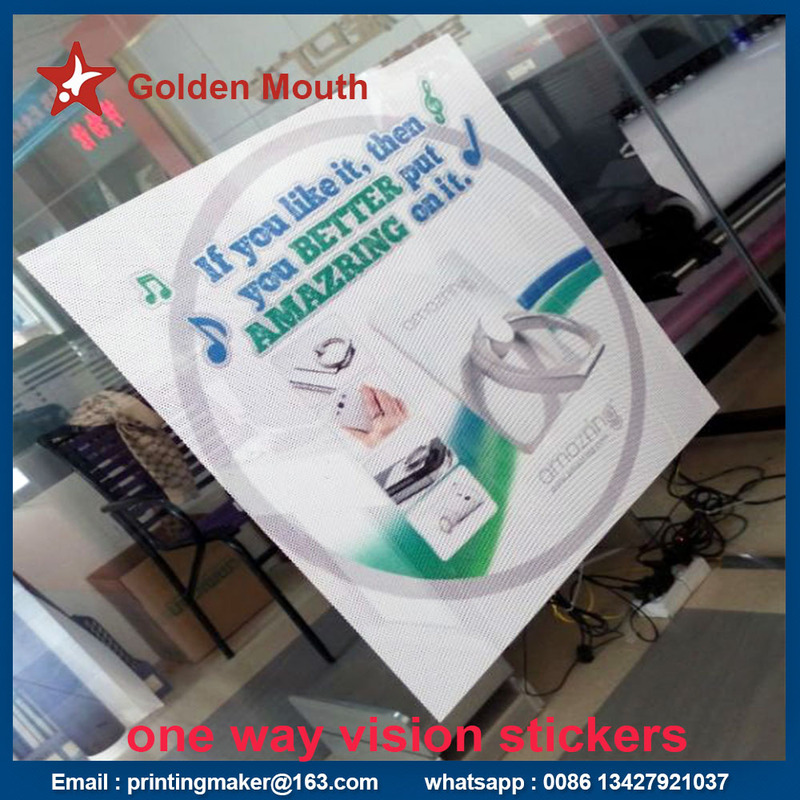 Product categories of One Way Vision Sticker, we are specialized manufacturers from China, One Way Vision Stickers, One Way Vision Window Film suppliers/factory, wholesale high-quality products of One Way Glass Film R & D and manufacturing, we have the perfect after-sales service and technical support. Look forward to your cooperation! It is a sticker with very small holes on the surface . Light filters through and allows you to see out of the window with an almost solid image showing through on the other side. It is common to use on the rear window of vehicles or bus windows. It can also be applied on shop front windows to make decoration or advertise your products and service . Most these One Way Vision Stickers appears on the window of metro (subway ). 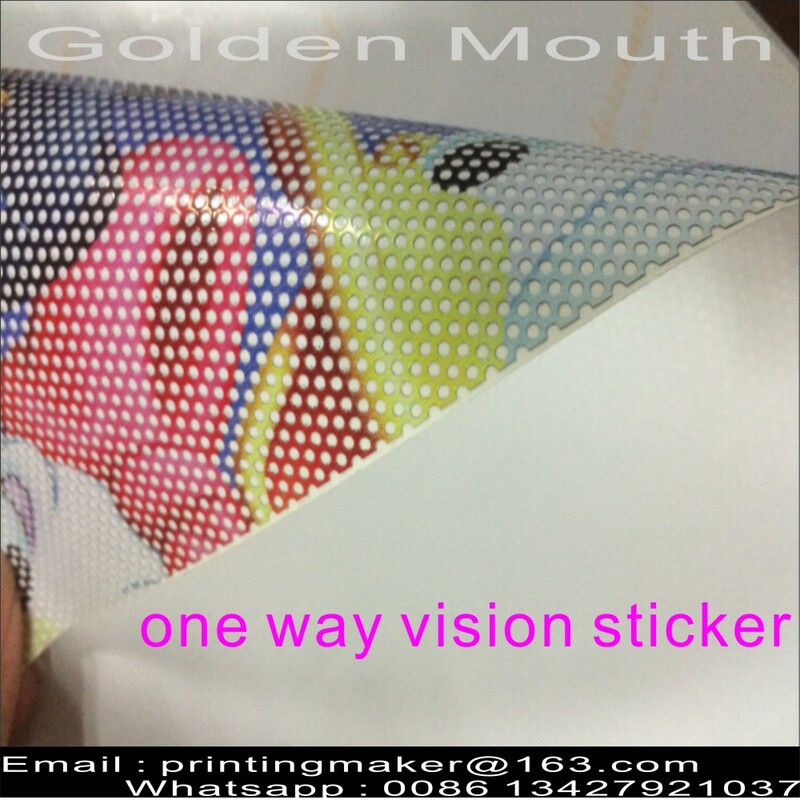 We have two kinds of One Way Vision Sticker ,one is adhesvie on the back of the material and one is adhesive on the printed image side ( this means you can apply the stickers on the inside of the window ,then see the image through the window from outside ,this way can protect the image very well ,it wont be easy moved away and scratched . Largest seamless size : 150cm ( 4.9feet ) ,length can be reach 30 meters . How to appply to the window for large size : clean up the window first ,then move away the back paper on the adhesive side and attached the one way vision sticker on the window step by step .